What was America’s worst war? I mean in the sense of numbers of people killed as a percentage of the total population. Many would say the Civil War (1861-65), when 2% of the population died. In fact, three times as many people, proportionately, died in the Revolutionary War, sometimes called America’s First Civil War, which took place almost a century earlier. 6% of the population died in the earlier conflict and tens of thousands fled the country when the war was over. As with the later conflict, families were divided, brother fought brother and there were intense feelings on both sides. Gordon Wood, an American historian who has written a number of books on the Revolutionary War and the events that surrounded it, brought out in one of his books that England was then the freest country in the world and that the people in England’s colonies were even more free; so why did some colonists want even more freedom? There were legitimate grievances just as there are against any government, but the American Revolution is different from all other revolutions in that the people revolting were not the poor and dispossessed. They were, in fact, the aristocrats of the colonies. They were actually better off than the people they were revolting against. It’s no wonder then that this was not a popular uprising as movies have sometimes suggested. The country was very divided. By some estimates, the division was a third, a third and a third – a third in favor of the revolution, a third who were loyal to the crown and a third that were largely indifferent. Tired of war after six years of fighting, on the eve of the final battle, the number of people who were supportive of remaining under the Crown was higher than those who wanted to sever the tie and build a completely independent republic. 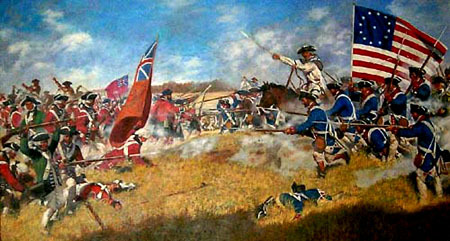 That final battle, the Battle of Yorktown in October 1781, was to be decisive. In their latest novel (2012), “Victory at Yorktown,” Newt Gingrich and William Forstchen are fair to both sides, until near the end when it is clear where their loyalties lie. They bring out that, immediately prior to the battle, many in Congress wanted to negotiate with London on British terms. Russia’s Catherine the Great had offered her services as mediator. The proposal was that the new United States of America should remain within the British Empire but would maintain its newly created federation. A total amnesty was proposed for those involved in the rebellion. Washington had to persuade them to wait, to see first how the battle went. If the battle was lost to the Continental Army, then a peace treaty would have been signed in Britain’s favor and the US would have remained within the Empire, under the Crown, similar to the way Canada is today. 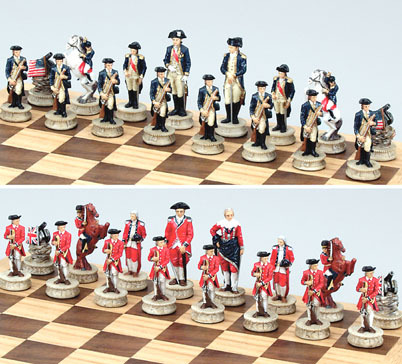 If the sole combatants had been Washington’s Continental Army and British regulars, the British would have won. But the French came in and made a big difference. The British lost and their army surrendered. Even then, the British could have simply sent another military force to continue the war. Britain was the greatest military power on earth at the time but the parliament in London voted against further funds for the prosecution of the war. 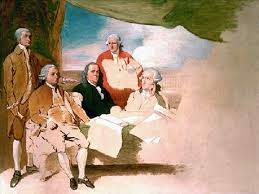 The subsequent Treaty of Paris in 1783 recognized the new United States of America as a sovereign nation, albeit one without a sovereign! The French paid dearly for their support of the rebel forces. The country’s finances were in trouble as a result of the conflict and before the decade was out they had their own revolution, exacerbated by radical ideas brought back from America by French soldiers. Following Washington’s victory at Yorktown, about 100,000 loyalists fled the country, mostly to Canada. That was roughly 10% of the country. Many loyalists remained – far more than left. Former Secretary of State Dean Acheson came from an Anglophile, East Coast family that always toasted the king on his birthday, right up until after World War II (“Picking up the Reins” by Norman Moss, 2002, page 65). In reading the book “Victory at Yorktown,” you realize how easily the battle could have gone the other way. 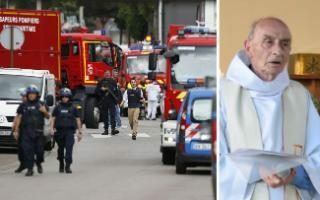 It’s too easy to say it was won because the French Navy was there. There is also a biblical explanation. Genesis 48 tells us that the two sons of Joseph, Ephraim and Manasseh, were to become “a multitude of nations” and a “great” nation. Many people in Victorian times and the early part of the twentieth century believed this prophecy was fulfilled in the British Empire and the United States. The British Empire comprised dozens of different countries, each different from the other. They were all united by a common loyalty to the Crown. If the US had lost the battle of Yorktown and remained within the empire, it would have been a part of the multitude of nations. It had to be separated from the Crown even though, arguably, most did not want that separation in 1781. At the same time, the loyalists that moved to Canada made Canada the great Dominion of the British Empire, which it became. The Battle of Yorktown was likely a foregone conclusion!